0.5m Component Video Cable RGB. 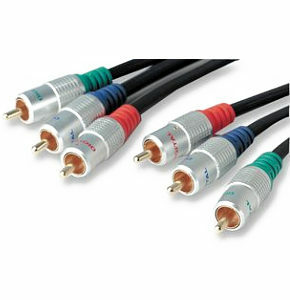 0.5m component video cable, ideal for connecting a DVD player to TV etc. 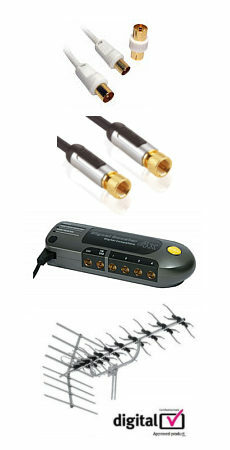 3 x phono male to 3 x phono male cable. Gold plated contacts and stylish metal body plugs. Pure copper conductors for perfect picture transfer. 3 way TOSLink Optical Switch. Allows switching of one optical source/load to three optical loads/sources. Finished in a stylish silver/grey with rotary blue selector knob. Red dot indicates which input/output is selected.